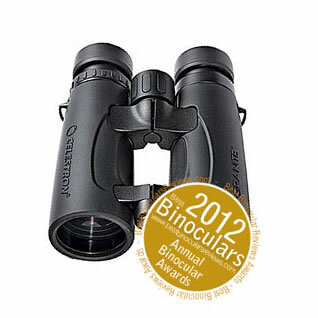 This independent website gave the Granite 8x42 the 2012 Best Birding Binocular of the Year last year. 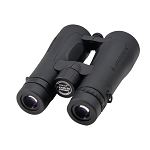 Celestron Granite Series Roof Prism Binoculars are the pinnacle of optical and mechanical design. 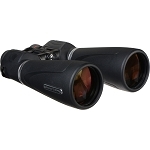 Granite offers all the features you’d expect from a top-of-the-line binocular, including ED (Extra Low Dispersion) glass. The ED objective lenses and fully multi-coated optics provide excellent sharpness and color correction, while virtually eliminating chromatic aberration. Granite also features BaK-4 prisms with phase and dielectric coatings to increase light transmission and overall image quality. 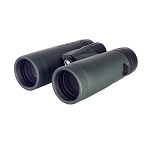 As the name implies, Granite binoculars are made to withstand the test of time. They are constructed from magnesium alloy, which is tougher and lighter than aluminum. Granite also features metal—not plastic—twist-up eyecups. Joining the beloved Granite series is the 7x33 model. This new model provides an excellent balance between performance and comfort, weighing just 21 ounces. The 7x33 provides a wider field of view compared to 42mm binoculars, making them an excellent choice for travel, sports and outdoor activities. Interpupillary Adjustment 8.7 - 0.1 mm / 22.0 - 28.7"
Box Dimensions (LxWxH) 8.3 x 7.5 x 3.9"
This is an exceptionally top class performer. It is light in weight, feels very good in the hands, top quality and the image is exceptionally good for its low price. I am very happy to have made this choice and will highly recommend it. 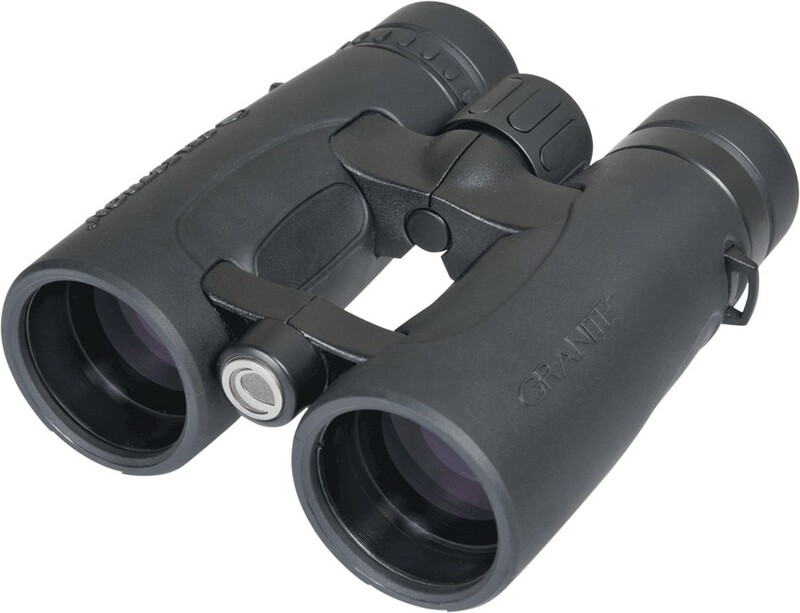 I had evaluated this against the top brands of binoculars in the market for astronomy including those in the several thousand dollar price range but eventually settled for this not because it was inexpensive but because I was looking for the best and I had found it. I have been a serious birder for several decades and have owned many pairs of binoculars including a few that have cost more than a thousand dollars. I currently use my Canon 12x36 Image Stabilization and my Leica 10x42 pairs the most. When I got a chance to own this pair I was a little concerned that they might not be something that I would want to carry with me, even as a back-up for my back-ups. Boy was I wrong! Right out of the box I was impressed with the feel and design of these binoculars. The open bridge (pioneered by Swarovski in their very expensive EL series) allowed me to get a very comfortable and secure grip on the pair. The magnesium body felt light but solid. The rubberized finish was very good but not especially great. There is a tripod socket hidden on the front bridge; unscrew the cap and there is a socket that will attach the binos to a tripod using a separately available adapter. I adjusted the interocular distance and set the diopter to suit me and headed into the field the put the Celestrons to the test. The Celestrons come with a very nice, compact case; a regular neck strap; and a harness strap that you kind of wear like suspenders. I have always had respect for the Celestron name when it came to telescopes but I am really impressed by their entry into the compact binocular arena. 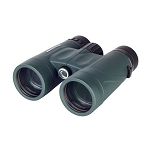 All in all they are a joy to use and a great and affordable pair of binoculars for bird watching, sports or hunting. I would give them 4 and a half stars but since we don't have half stars on Amazon and since they are such a great value I will round it up to five. Well done Celestron! 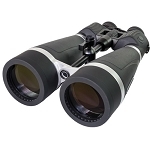 Recently received my Celestron Granite 8 x 42 binoculars and so far I am impressed. They have a bright sharp image and seem to be well constructed. 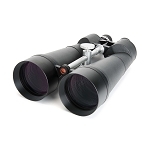 I have used them for viewing birds in the ocean on our coast and was able to see details with good clarity. 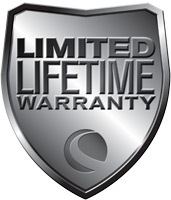 The warranty is no fault lifetime and is a good bonus. Based on my short time use I would recommend them as excellent value for the price.